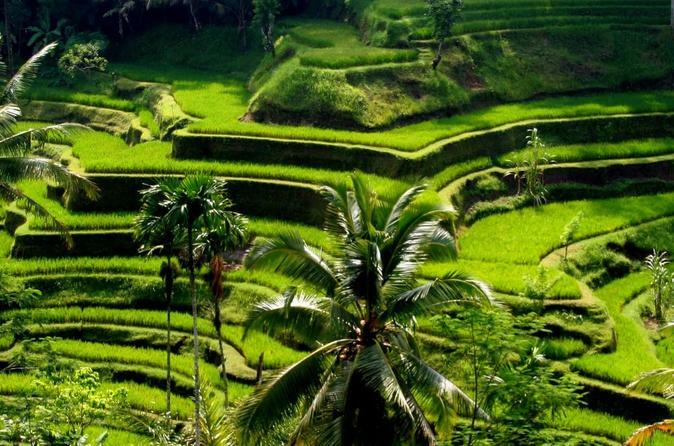 This most popular full day tour in Bali is a tour package including expensive entrances ticket at visited objects with an impressive experience to visit Kintamani with their breathtaking view of an active volcano and lake, Balinese culture with their majestic heritage, nature with their tropical plantation, also to see the making of many beautiful handicraft which is made by local people. This tour is very enjoyable with our professional Tour Bali Driver who always do outstanding for guest satisfaction. transported by full air-conditioning comfortable car and served with delicious lunch and afternoon tea on the way of the trip. After pickup from your hotel, begin with a visit to a Batubulan village to see the center of handmade batik weaving. Afterward, head to Celuk Village to see the gold and silver smith, and to Mas, to learn about wood sculpture. Continue to Batuan Ubud, a village known for its artwork and distinct painting style that originated in the 1930s. Then travel to the Batuan Trinity Temple to see its intricate carvings and architecture up close. From there, make your way to Gunung Kawi Temple Sebatu, home to a holy water fount and large koi pond. Break for lunch at Kintamani, with views of Mt. Batur and its caldera lake. After lunch, head to the village of Tegalalang to taste Bali Luwak coffee and ginger tea, and see the spice garden and rice terrace. After some afternoon tea, visit the Ubud Village, a nature reserve and Hindu temple complex, as well as the Ubud Market and Ubud Palace then ending the trip by visiting Tegunungan Waterfall. Your day trip will conclude with transportation back to your hotel.